Back in June, AutoGuide got a spy shot of what it believes is a development mule for an even-hotter Focus hatchback to slot above the Focus RS. Now Autocar’s sources hint that the so-called ‘RS500' is edging closer to getting the greenlight, but it may *only* have 400 horsepower. Which is a lot, but makes the name confusing. 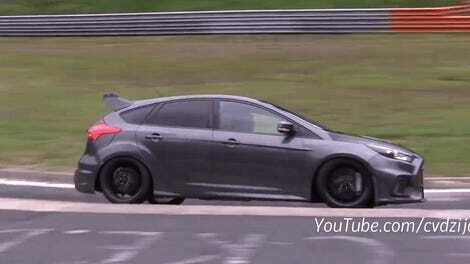 This is not an ordinary Ford Focus RS. It is, though, one mean-looking hot hatchback prototype. 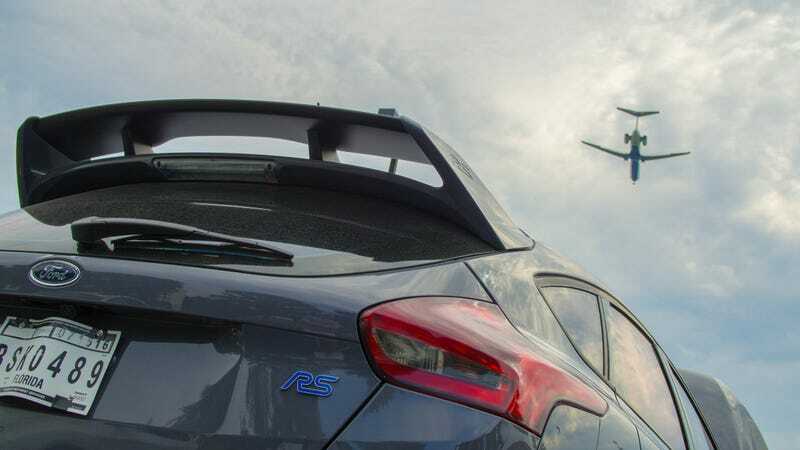 The original Ford Focus RS500 sadly never made it stateside, but it was a 345 hp super hot hatch in the skin of the cool European Focus bodystyle with the cool taillights. It pulled 15 percent more power out of its 2.5 liter five-cylinder. Autocar’s sources claim that the new RS500, which would likely be marketed globally, is not yet greenlit for production but, “the desire exists to have a star in the RS and ST range”. Autocar suspects that, should the RS500 make it to production, it would also see a 15 percent power boost over the current Focus RS, getting power right up to 400 hp. The article cites some cosmetic changes to a suspected development mule suggesting more cooling will be needed. Torque increases are likely to be more modest, if only to ensure that Ford doesn’t need to re-engineer the RS’s six-speed manual gearbox and four-wheel drive system, which is built around a clever GKN active rear differential. That rear diff accepts up to 70% of the RS’s torque and then uses clutch units to lock the diff 50/50 to the rear wheels, creating the Drift mode that makes the RS so much fun to drive on a circuit. Performance is likely to increase slightly, with the 0-62mph time dropping from 4.7sec to around 4.2sec. Top speed is expected to climb a little, to 167mph or so. So why is this 400 hp super-hatch called the RS500? Well most of you have likely retired to the comments already to school me on the facts, but if you haven’t, it’s likely because Ford will only produce 500, which is why the 345 hp 2011 RS500 earned that label. Still, that’s sort of like Coke selling a new soda for only 100 days with “Coca-Cola 100" on the can and then being shocked when everybody is mad it’s packed with 400 calories. But if Ford does greenlight the RS500 (please, do it), it would be the crown jewel and a fitting goodbye to the third-generation Focus before we get to start all over again with the ST, RS, and whatever else. Given the immense popularity and desperation over the Focus RS, I’m pretty sure Ford doesn’t have any good reason to not sell 500 of these puppies—despite the fact that it will be an economy hatchback selling for BMW M2 money.